It’s all in the details you guys! 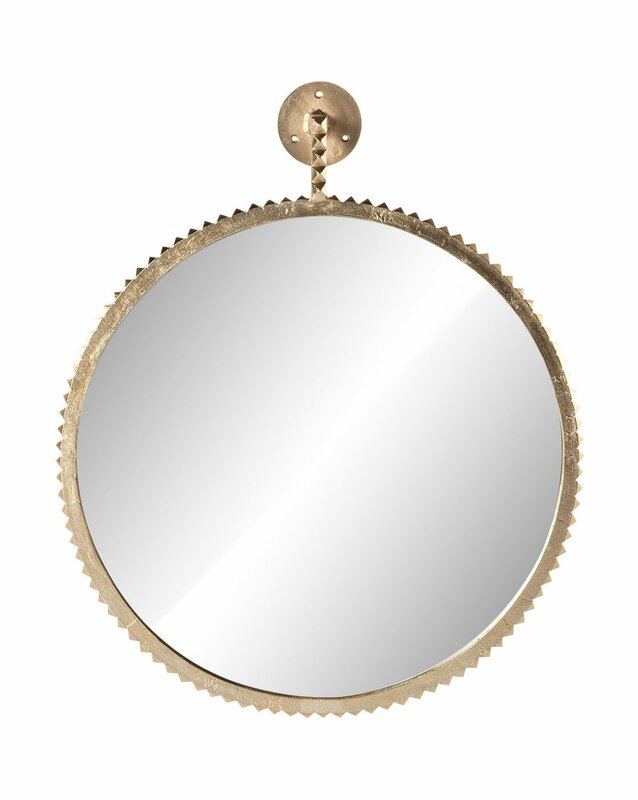 Today we’re talking bathroom mirrors. 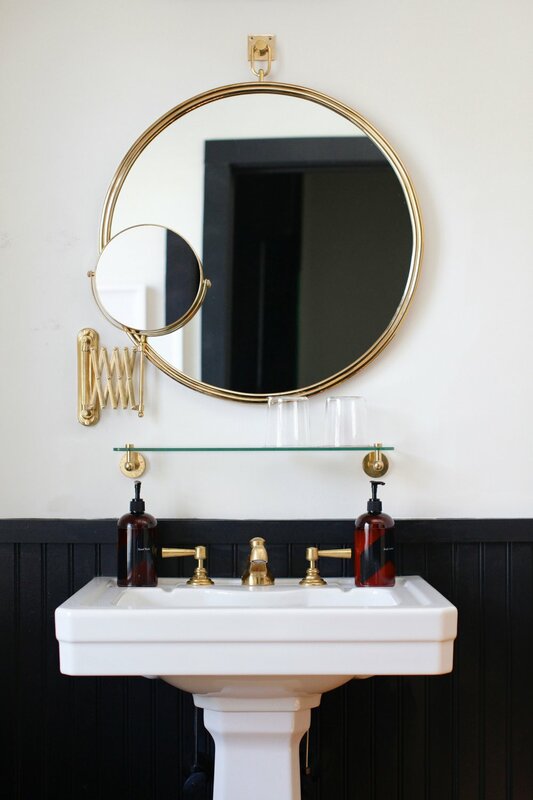 Don’t get us wrong, we love a clean and simple bathroom mirror, they’re clean and sophisticated! But sometimes a designs calls for playing up the drama with something a little less conventional. 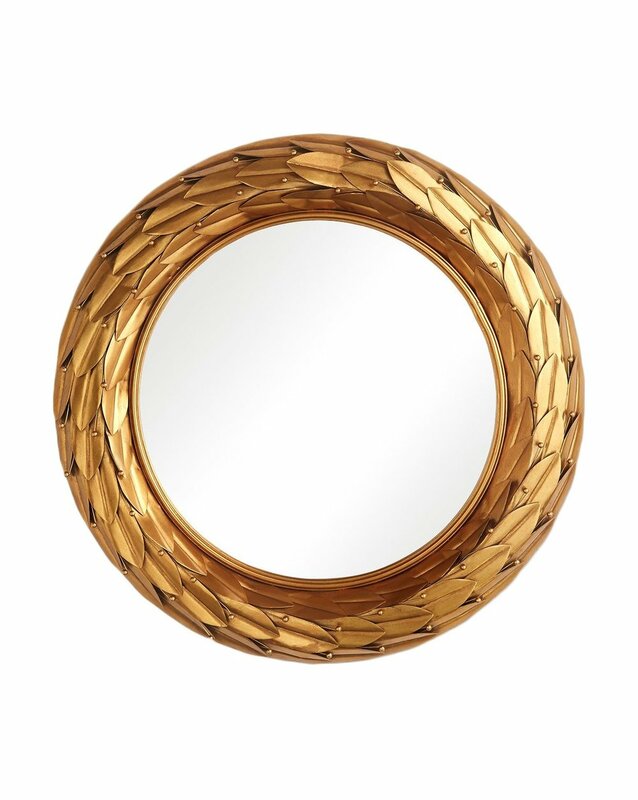 We do that by focusing more on little designs that make a big difference: shape, materials, and details. 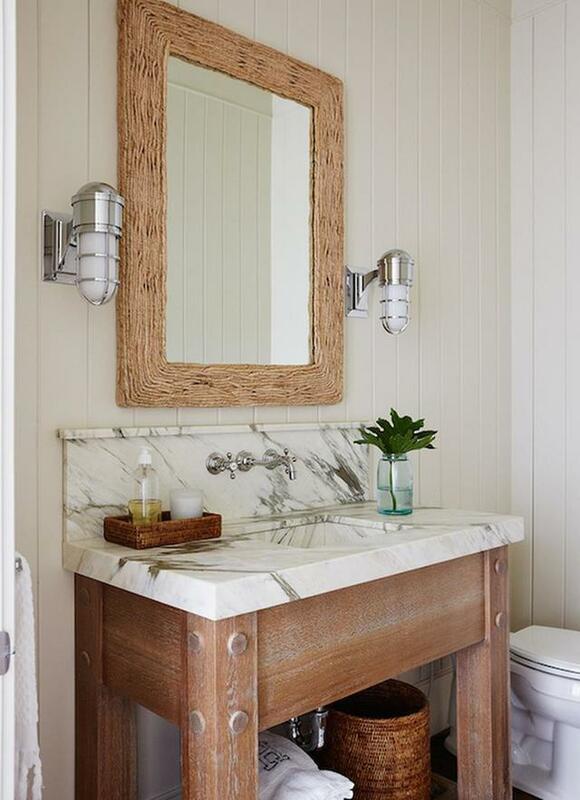 After all the design decisions you make in the bathroom, choosing a mirror can easily be overlooked. 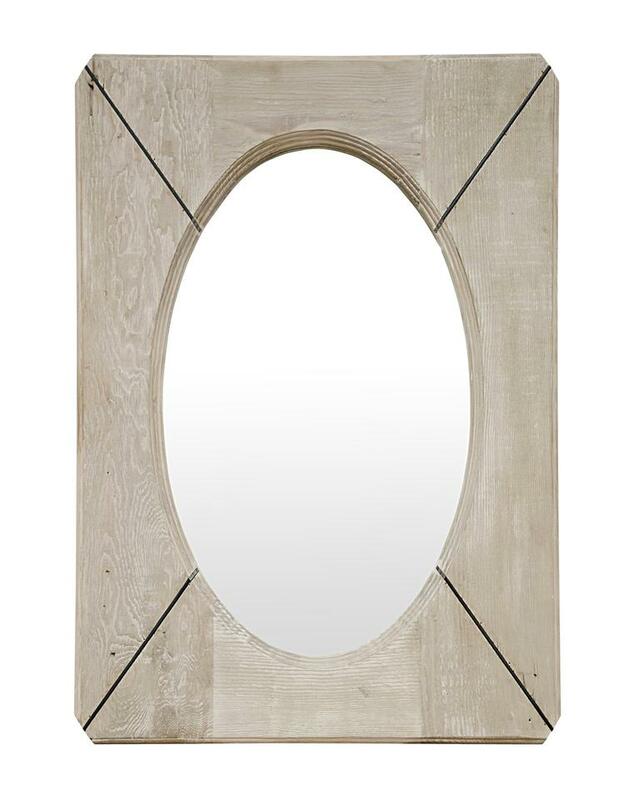 A simple shape and finish is an easy choice, but if you’re looking to add a new statement, a mirror can be that perfect place to play up your design. 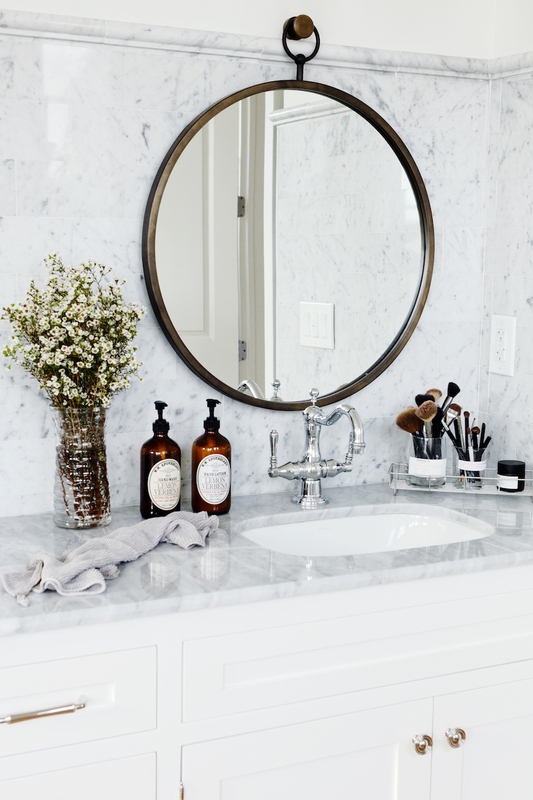 The materials used in your products are everything when determining the mood for a space. We’re always excited to bring a taste of the outdoors inside in unexpected ways! 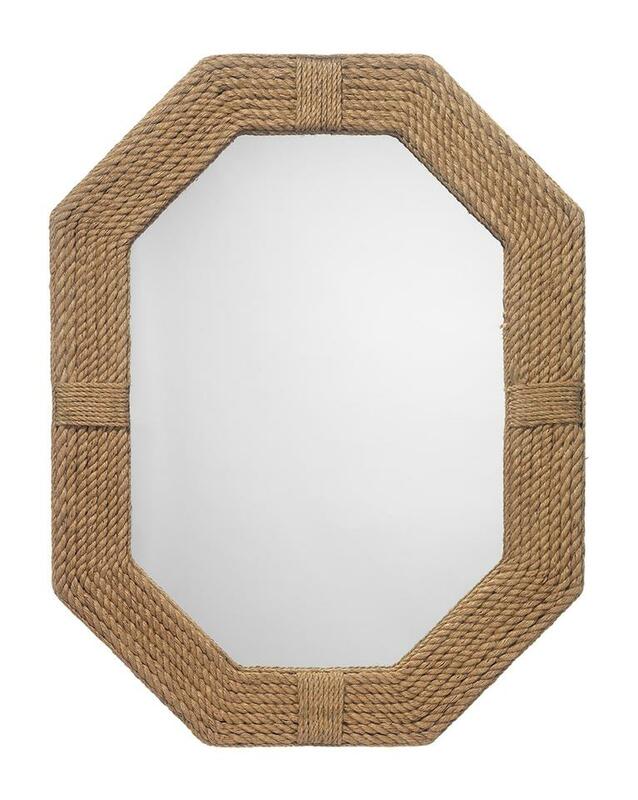 The best part is that natural materials feel organic, but they totally make a statement. 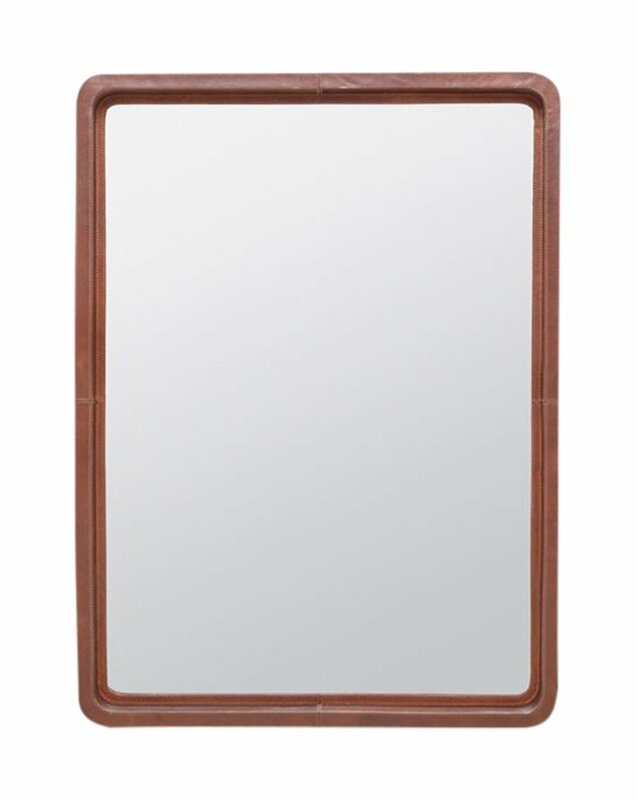 Shea is planning on using the chic leather Franklin Mirror in her new home because it has a rich tobacco leather finish. It’s sophisticated and natural! There’s a range of statements — sometimes it’s just a subtle detail and other times it’s a jaw dropper! Small details like handles, engraving, etc. are beautiful because they give you something to look at without stealing the show. But a big statement is fun too! 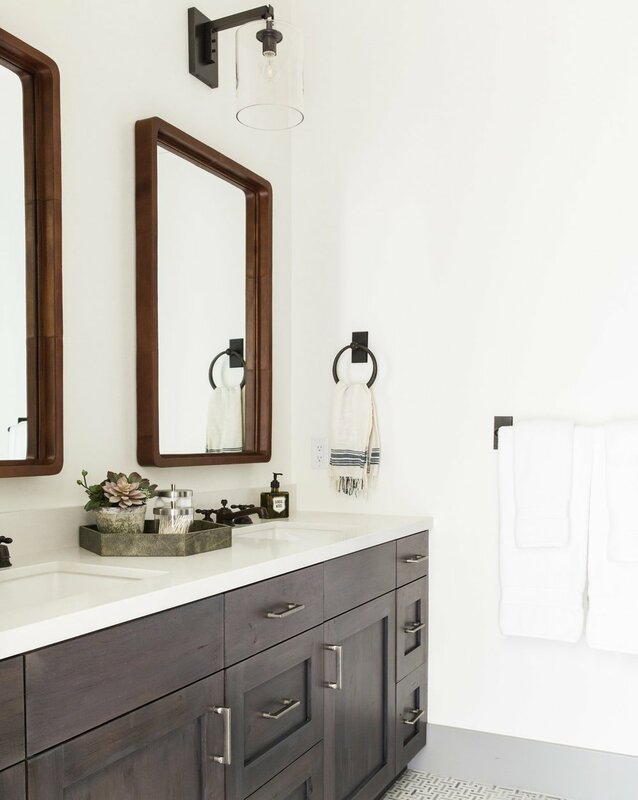 Smaller spaces like powder baths are the perfect opportunity to test this out because you can play it safe with the rest of choices.